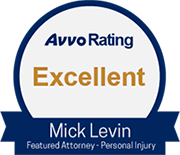 The law firm of Mick Levin, P.L.C. handles extensive medical malpractice claims in Arizona. If a healthcare provider commits medical malpractice, and their negligent treatment causes the patient to sustain an injury, a civil lawsuit may be brought to seek monetary damages for the patient's and their family's losses. Our experience coupled with our resources to investigate, research, and litigate successfully, allows our malpractice lawyers to consistently produce the highly satisfactory results for our clients. If you're unsure of whether or not you have a claim, we invite you to speak to one of our medical malpractice lawyers at a free, no-obligation initial consultation. Medical malpractice is professional negligence by a health care provider in which the treatment provided falls below the accepted standard of practice in the medical community and causes injury or death to the patient. Medical malpractice occurs when a hospital, doctor or other health care professional, through a negligent act or omission, causes personal injury to a patient. When you suffer an illness or injury, you seek medical professionals for care and healing. Unfortunately, health care professionals can make mistakes by providing treatment that falls well below professionally acceptable community standards. As a result of the healthcare provider's actions or misdiagnosis, the injured patient and his or her family may face death, disability, unnecessarily high medical bills, lost income, and pain and suffering. Medical malpractice lawsuits can be expensive to litigate, frequently requiring testimony of numerous medical experts and countless hours of deposition testimony. For a case to be viable, the patient must show that significant damages resulted from an injury received due to the medical negligence. If the damages are small, the cost of pursuing the case might be greater than the eventual recovery.